Snowman. Does the Russian Yeti Exist? This photo was taken on approximately January 29, 1959, in the the Northern Ural Mountains by a team of nine Siberian cross country skiers, on winter break from Ural Polytechnical Institute in Yekaterinburg, USSR. Temperatures were -25F every day on this grueling trek. Their location was about 4 days north of the nearest Mansi tribe settlement. The ski team, led by Igor Dyatlov, made it to the top of Dead Mountain on February 1, where they all died under mysterious conditions. A full criminal investigation led by a special committee of investigators with assistance from the KBG got under way. The investigators developed all the rolls of film that the team had, including the roll with this Snowman exposure. Also, notes in one of their log books made comment that.. "this proves that Snowman exists". When the Dyatlov team was first known to be missing, several search teams went out looking for them. An important note, no tracks of any kind - skier, animal or vehicle, were ever found approaching the Dyatlov camp atop dead mountain. Also, trackers in aircraft so no other tracks other than the tracks of the skiers. 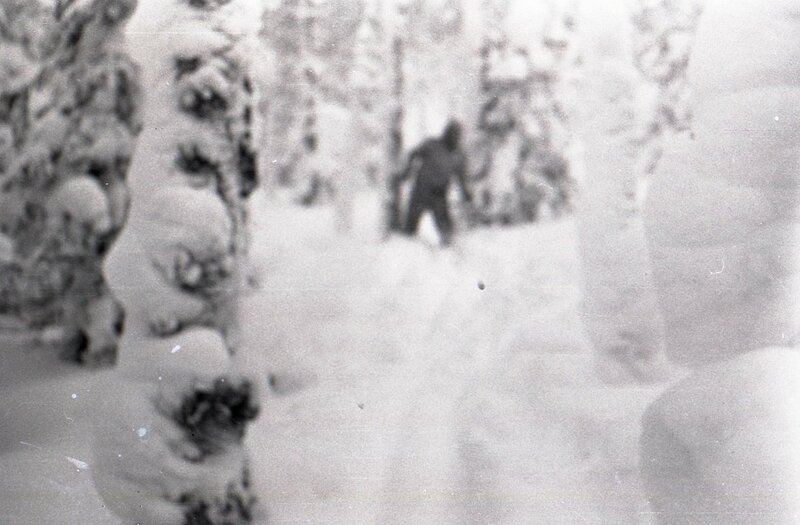 That out-of-focus picture is probably of one of the skiers, not a yeti. Using a dubious Discovery Channel "documentary" as a source is not a good way to start a thread. The pic is quite real, Carno. You can google it yourself. And, no, it is not one of the skiers. No monkey suit was ever found amongst their belongings or on the path they blazed. 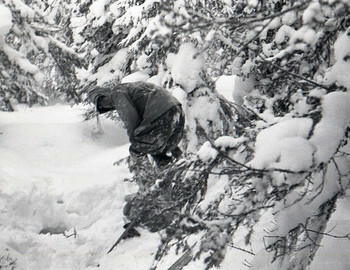 I have read countless articles and watched several documentaries about the Dyatlov Pass incident and not once has this photograph or one like it ever been mentioned or even slightly hinted at. This seems to be either a fake image or an image from somewhere else being attached to an incident to muddy waters and attempt to point to a ridiculous conclusion. I know it is a real photo from the Dyatlov group, but it is most likely just one of the skiers out-of-focus. Compare the "yeti" picture with the one taken right before it. It is a real photo from the Dyatlov group, but it was misinterpreted and promoted as a "yeti" by a Discovery Channel "documentary" in 2014. I can't believe people are still being fooled by these mockumentaries. No yeti. Besides dna showed yeti is a type of bear not primate. And then this story has been bastardized into some type blair witch mocumentary kgb coverup bs like that mermaid show, that i did enjoy watching. Look up that Russian sleep deprivation study or sea creature that killed a crew in a deep lake under ice, they start with a bit of real then go nuts with make believe for entertainment too bad some still even believe blair witch....nice try earl but epic fail. I can't believe people are still being fooled by these mockumentaries. There has been a three part documentary from National Geographic covering the Bigfoot/Yeti phenomenon. As far the Yeti in the Himalayas and in Russia it has been determined that the sightings and stories are concerned with a particular type of bear. Several hair samples were tested and such, which showed there was a bear or bear hybrid. Interesting stuff really. I'm afriad that too has been debunked. The hybrid bear anakysed by arch **** up merchant Brian Sykes tirned out to be completely within the normal range for the region's brown bear population. Not as per Sykes containing ancient polar bear DNA. He also fudged his credentials. The whole thing was never satisfactory to me, you can't shoe horn the traditional beliefs of anotjer culture into a neat Wrsyern idea of asduming that they necessarily mean a flesh and blood creature. It's like the Nepalese annpuncing our belief in angels results from us seeing stalks. Nope, we made them up. Apologies for typos this keyboard is tiny. I had seen some stuff on that as well. An explanation involving bears is still far more logical and more reasonable than the other ideas out there. Either way, the fellow in the above photo is neither. Here's the link to the DNA study about Himalayan brown and black bears from 2017. Although anecdotally associated with local bears (Ursus arctos and U. thibetanus), the exact identity of ‘hominid’-like creatures important to folklore and mythology in the Tibetan Plateau-Himalaya region is still surrounded by mystery. Recently, two purported yeti samples from the Himalayas showed genetic affinity with an ancient polar bear, suggesting they may be from previously unrecognized, possibly hybrid, bear species, but this preliminary finding has been under question. We conducted a comprehensive genetic survey of field-collected and museum specimens to explore their identity and ultimately infer the evolutionary history of bears in the region. Phylogenetic analyses of mitochondrial DNA sequences determined clade affinities of the purported yeti samples in this study, strongly supporting the biological basis of the yeti legend to be local, extant bears. Complete mitochondrial genomes were assembled for Himalayan brown bear (U. a. isabellinus) and black bear (U. t. laniger) for the first time. Our results demonstrate that the Himalayan brown bear is one of the first-branching clades within the brown bear lineage, while Tibetan brown bears diverged much later. The estimated times of divergence of the Tibetan Plateau and Himalayan bear lineages overlap with Middle to Late Pleistocene glaciation events, suggesting that extant bears in the region are likely descendants of populations that survived in local refugia during the Pleistocene glaciations. Interesting stuff @Carnoferox! Thanks for the information! If you want some other papers on the yeti and other cryptids, I have a whole list with links on my blog. My favorite example of this is "The Psychic Mafia" by Lamar Keene. He was a medium in the 1960s; had a huge following. 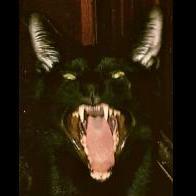 Then 'fessed up, admitted he was a fake, but many of his followers still believed he had powers. The will to believe--regardless of the topic--is very strong with people. Was she convinced (he asks him knowingly)? What a ball buster of a thread. You tell me the mermaid documentary was a fake. You tell me that the yeti is a bear. Now I learn that angels are stalks. Yes, shes not a dimwit just she watched one of the mermaid mocks and took it at face value, i believe it was the one were the youbg guy filmed a dying one jump at him while he filmed with his phone. Keep in mind most people do not seek more than a "show" persents hence why things like patty are deemed real and some see meldrum as a bf guru. what, believed it do you mean? I do tend to disagree, I think the yeti traditions of Nepal are culturally specific and don't actually refer to anything real, in our sense of the word at least. I think our tendency to shoehorn these traditions into our Western idea of a 'missing link', 'ape-man' etc, is where the confusion arises. That said, I've heard one of the translations of the local name for what may/may not be part of their yeti mythology translates as bear. Who knows, but giant snow monkeys? I agree. I just don't think so either. Driven to extinction there by the concrete cows. Did a reverse image search on this, 101 hits going all the way back to 2015. Whats my point? My point being is that its not like this photo suddenly appeared now. Is it a yeti? Probably not. Are there yetis running around in Siberia? Probably not.